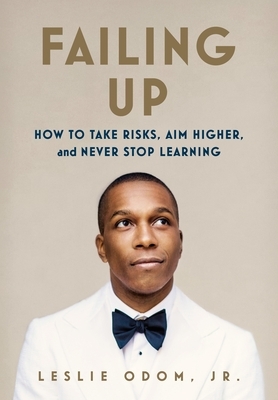 Leslie Odom, Jr. has most recently been seen in the blockbuster Broadway musical Hamilton, for which he won the Tony Award for Best Leading Actor in a Musical for the role of “Aaron Burr.” He is a Grammy Award winner as a principal soloist on Hamilton’s Original Broadway Cast Recording, which won the 2015 award for Best Musical Theater Album. Odom, Jr. originated the role of “Burr” in a sold-out run at The Public Theater in 2015, earning a Drama Desk Award nomination for Outstanding Featured Actor in a Musical and a Lucille Lortel Award nomination for Outstanding Lead Actor in a Musical. As a recording artist, his self-titled debut album was part-funded by a successful Kickstarter campaign which raised $40,971. The album was released in 2014 by Borderlight Entertainment, Inc. Odom, Jr. has appeared on “Smash," “Law & Order: SVU," “Gotham,” “Person of Interest,” “Grey’s Anatomy,” “House of Lies,” “Vanished” and “CSI: Miami.” He is starring in the upcoming feature film Murder on the Orient Express.